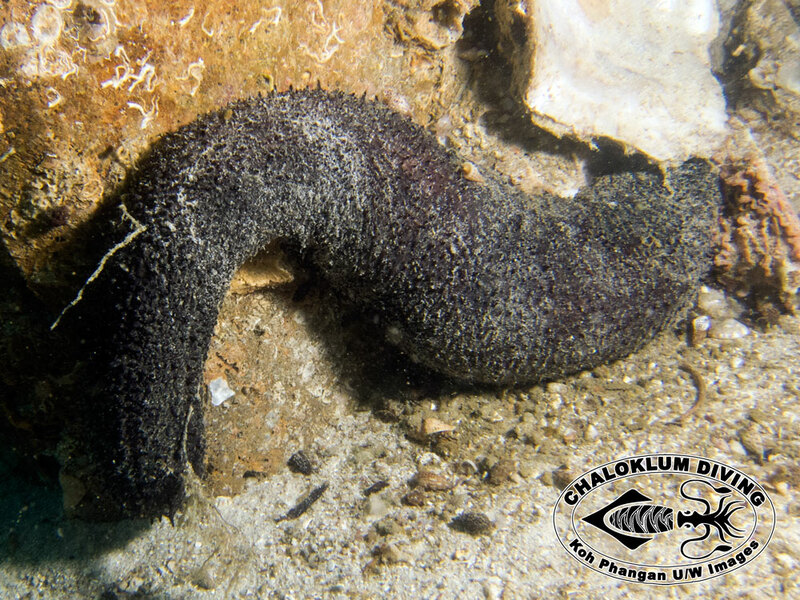 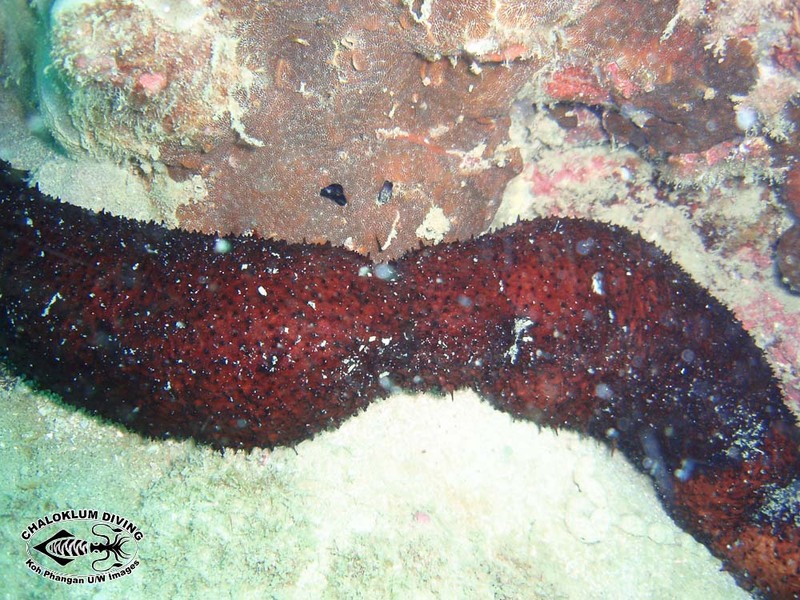 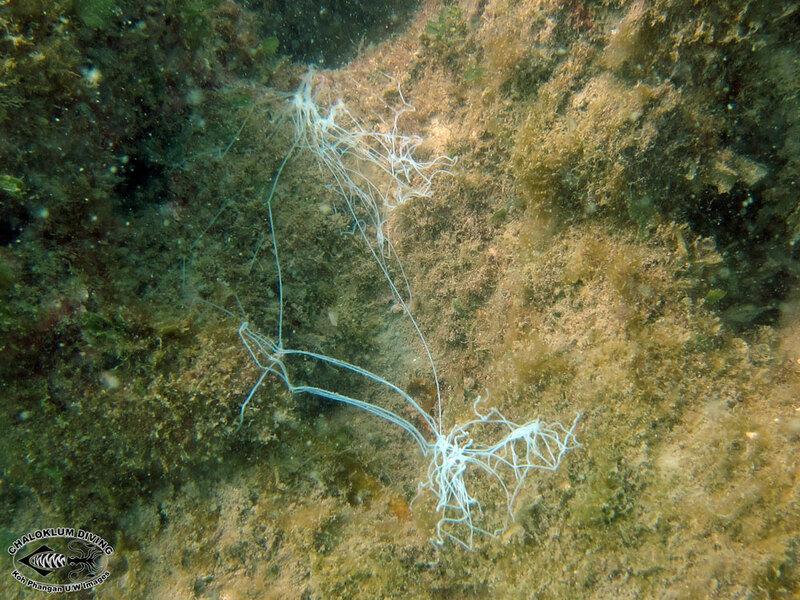 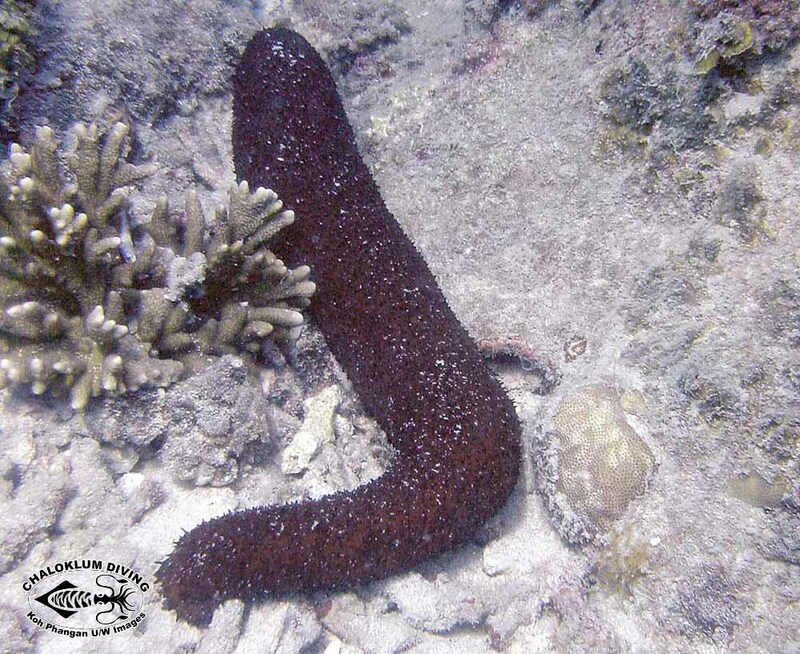 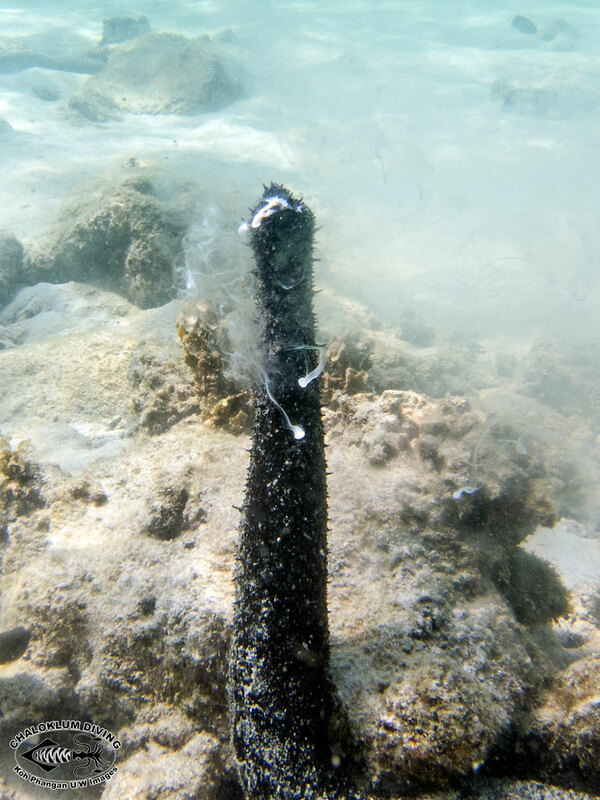 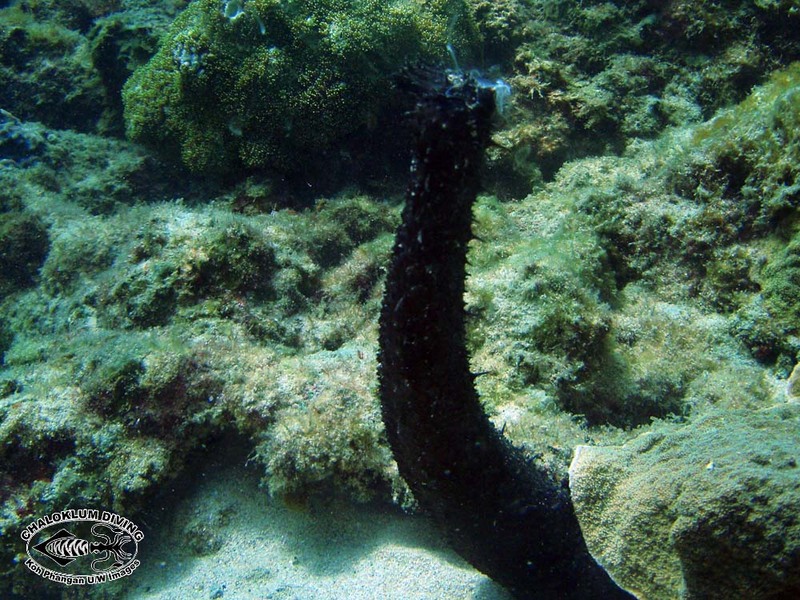 Holothuria leucospilota is found on Koh Phangan hard coral reefs, but not so much out on the sand. 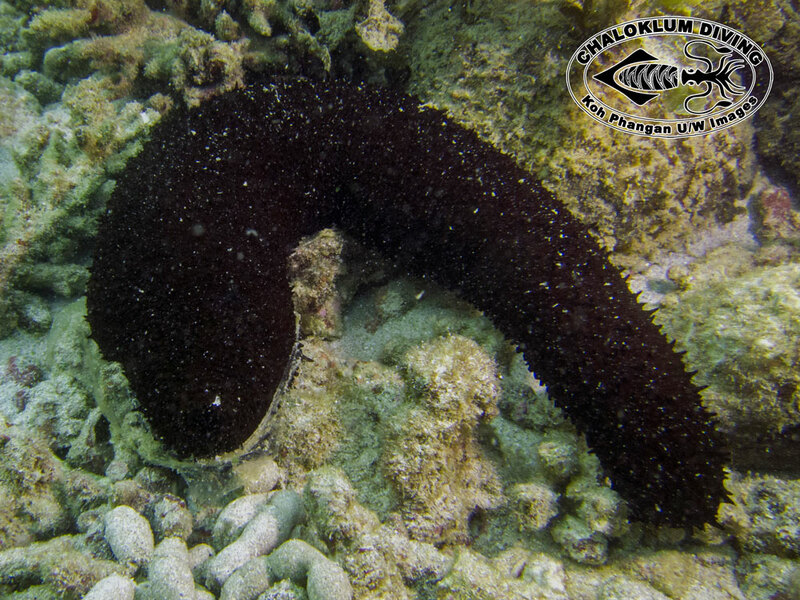 They often lodge their back end under a coral so that they can retract there if threatened. 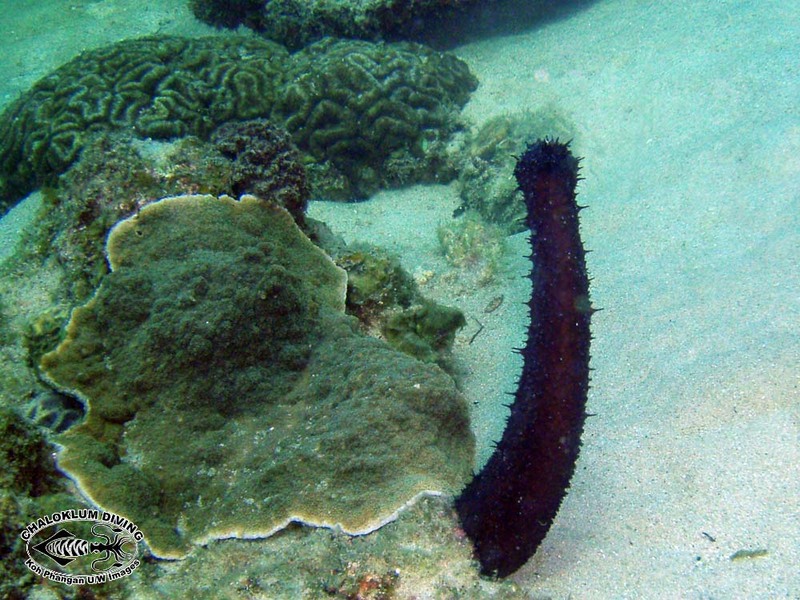 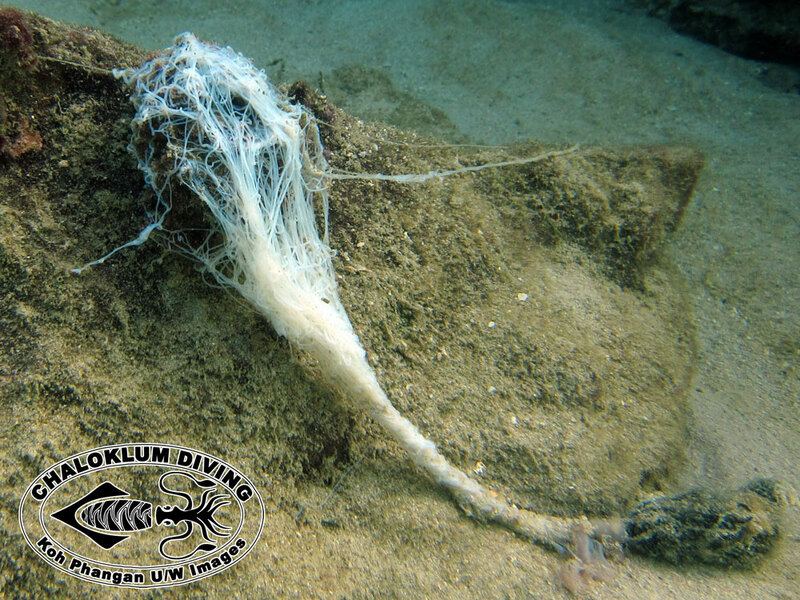 They also have a bunch of sticky stuff – Cuvierian Tubules – that they can eject if in danger. 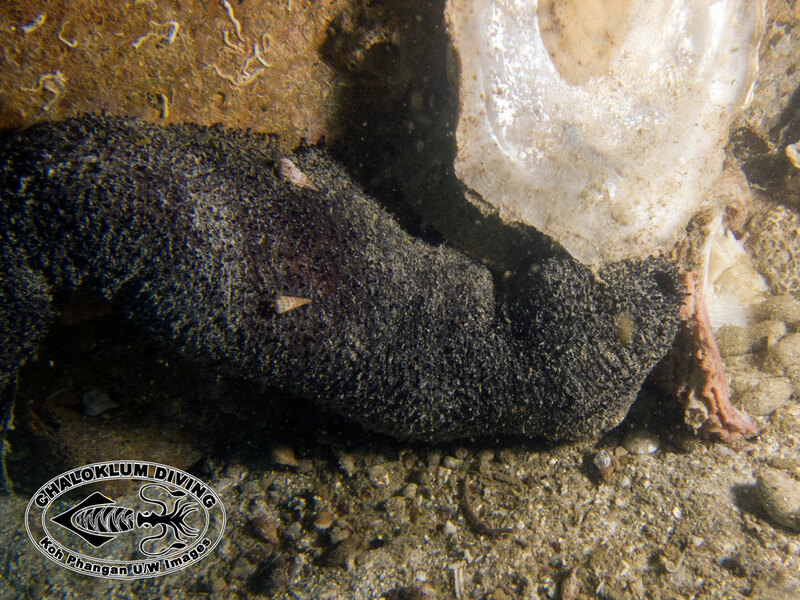 It’s the February update from Chaloklum Diving!